Just a few meters into the Giza Zoo, an average-sized white building can be seen from afar. Although the exterior of this building in no way suggests what can be found inside, this zoological museum located in the heart of Giza Zoo seems to be definitely worth the visit, containing mummified animals from the modern age back to the time of the Egyptian pharaohs. 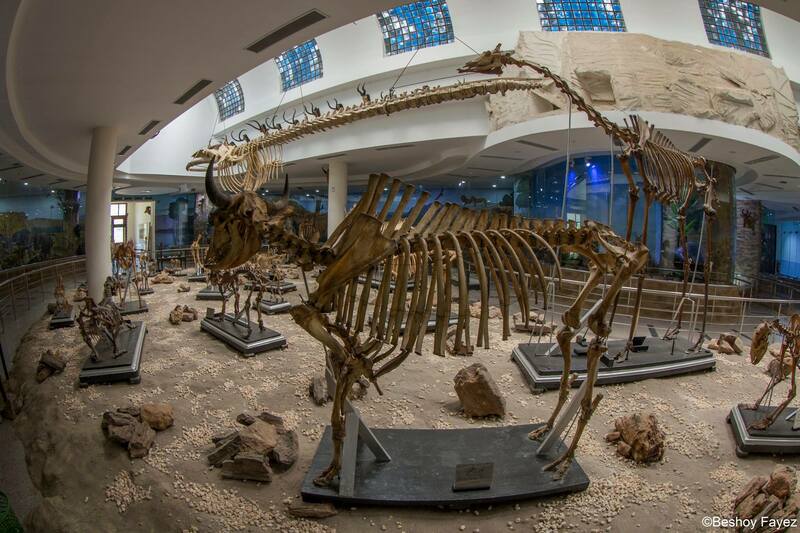 In the middle of the main hall of this renewed museum, visitors’ eyes can instantly glimpse the large skeletons of a giant whale, a hippo, a rhino and several other mammals including a giraffe, a baboon, a flamingo, a deer, a waterbuck, a polar bear and an elephant, besides some mummified reptiles and birds. 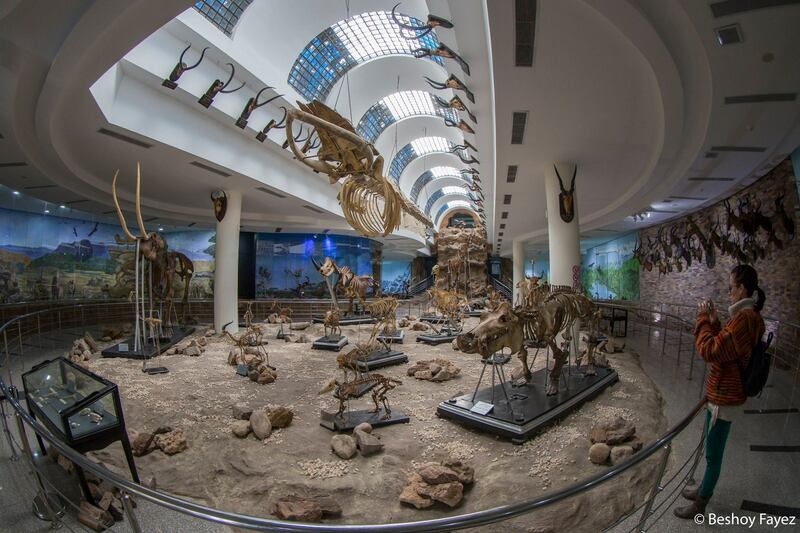 Being the first and largest in the Middle East, the Zoological Museum in Giza Zoo can work for both educational and entertainment purposes, as it contains about 1,352 mummified birds, 555 mummified mammals, 259 mummified reptiles, 115 skulls, 49 stuffed heads and 35 skeletons. With his fish-eye lens, 30-year-old Egyptian professional photographer Beshoy Fayez, allowed us to go deeper into the museum through his stunning photos. “The museum contains mummified animals dating back from 50 to 7,000 years,” Fayez said, noting that animals from other countries were gifts from abroad that were mummified in Egypt after they died. According to the museum’s website, a monkey is shown mummified after it committed suicide following the death of her little baby. The skeletons in the museum have been gathered for more than 100 years and the museum contains mummified species that cannot be seen anywhere else in the world, making it a useful resource for students and researchers of zoology, science, veterinary medicine and agriculture, the website said. 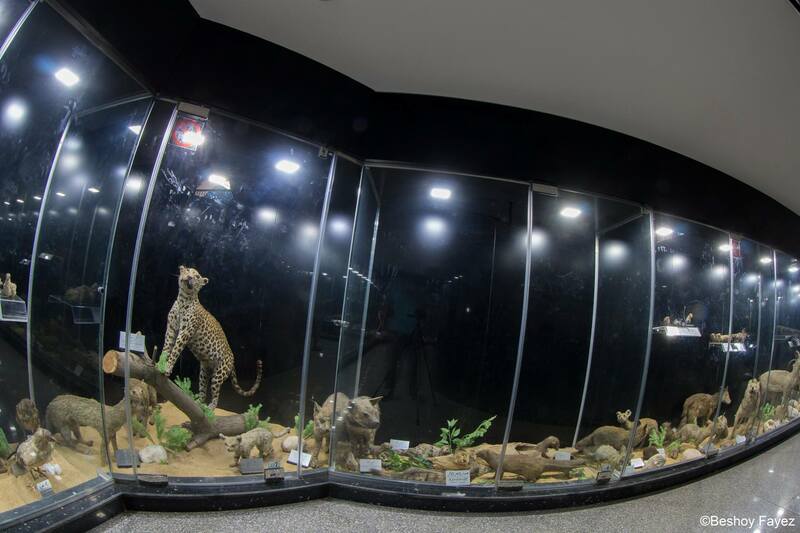 The Zoological Museum was established at the Giza Zoo in 1906 and was transferred to the current building in 1914. It was closed and reopened several times, until it was finally renewed and recently opened for visitors by former Prime Minister Ibrahim Mehleb, in August 2015. The main ground hall, which can be seen from each of the other two floors of the museum, houses a scientific hall and a conference hall. On the third floor of the museum, a variety of mummified birds can be seen, including falcons, eagles, hawks, pigeons, owls and harriers. Located near the west bank of the Nile and set on around 80 acres, the 126-year-old Giza Zoo was once one of the world’s foremost zoological gardens, but has since fallen into disrepair. Animal rights campaigners have long called for better animal care at the site. 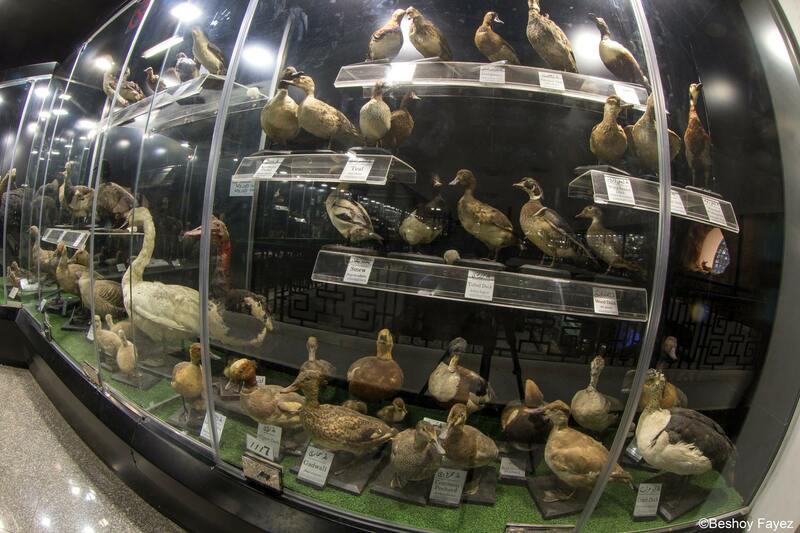 You can enter this breathtaking zoological museum for LE10.